Dates for 2020 to be announced soon! Step away from everyday demands in this destination writing retreat geared for reflection and new adventure. Nestled between the Alps and the Adriatic Sea, Slovenia is home to medieval villages, storybook castles, cosmopolitan cities, and lush green forests. Enjoy the tranquility of the Krka Valley and the hospitality of the Novak Lodge while savoring extraordinary farm-to-table cuisine and world-class wine. 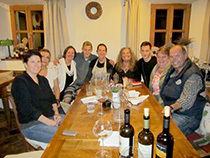 Our Slovenia writing retreat is designed for writers who are currently working on a literary project. Limited to six participants, the retreat offers individual attention and support, as well as a stimulating, insightful environment. Join Poet, Author, Teacher, Judyth Hill, for a delicious, enlivening week in a place that offers both the peace and tranquility to get serious work done, and the sensual and culinary beauty to feel utterly inspired every second! Our time will be dedicated to giving yourself to your work the way you have always wanted, and becoming deeply Present and Refreshed in your writing. Take the next step in your writing life. This is the Writing Retreat you’ve been dreaming about! Do you yearn for easy, relaxed stretches of time to write? To light up your Creativity: be on fire for your work? To create a finished manuscript of your poems? Plan, start or finish a novel? A Memoir? A Travel book? A cookbook? A Performance piece? Write your book proposal and query letters? This destination writing retreat at a mountain lodge in gorgeous Slovenia is the time and the place to get your project energized, on track, or if you’re at your final stage: completed! And get feedback! This is the get-down-to-it Getaway!!! The best of both: travel and discovery time, and real time to write! We will set individual goals in our various genres, have long, luxurious time to work on our projects, creative time to WildWrite together, and time to share our work, listen to and mutually support each other. We will drop down deeply into our writing life with passion and vigor. Come into the delicious Now of your Amazing life! Let’s commit to our gifts & get joyfully to work! The Slovenia retreat includes many hours of writing time, 8 hours of WildWriting classes, morning progress check-ins, sharing our work in the evenings, and 3 hours of private meeting time with Judyth. Each afternoon we'll break for an activity in the kitchen to learn about local food production and preparation by picking fruit from heirloom trees, canning preserves, making schnapps or foraging in the forest. The Novaks practice SlowFood by securing the majority of their ingredients from their fields, their neighbors, the nearby forest and famed local trout stream. It will be the freshest food you've ever tasted! WELCOME TO SLOVENIA! Arrive to Ljubljana and the Allegro Hotel in Old Town. In the evening we'll gather along the river for introductions and a glass of local wine before a dinner of Slovenian specialities. Walking and tasting tour of the city, followed by free time to wander the cobbled streets or write in one of the town's many picturesque settings. Afternoon writing class – set your goals for the week. Free evening. We'll transfer to the Novak Lodge by way of the scenic Julian Alps and one of Slovenia's best-preserved medieval towns – Skopia Loka. After walking the narrow streets, we'll lunch on regional specialties in a centuries-old restaurant. Then we'll continue on to Lake Bled with a tour of its castle and famous pastry shops. Dinner at the Lodge. Morning writing class to discuss everyone's current projects before breaking for individual work. Lunch at the award-winning Otecec Castle restaurant. 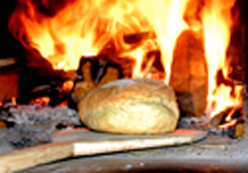 Enjoy the warm hearth and comfort of the lodge in the evening with dinner and readings. A day of writing! Schedule private mentoring sessions. Morning class to check in with your work. Afternoon hiking break to explore the area around the lodge – collect wild herbs and plants for dinner. A day of writing with evening readings of finished work with an option for a luxurious visit to the neighboring spa town of Dolenjske Toplice for a treatment. *most meals will be at the Novak Lodge, home to some of the country's best cuisine. **itinerary subject to change depending on local festivals and markets. 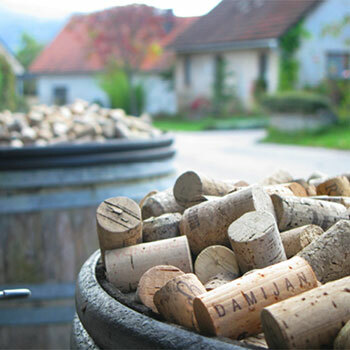 Included in the price are accommodations: 2 nights in Ljubljana and 5 nights at the Novak Lodge, all ground transportation after arriving at the Ljubljana hotel, all group activities, cooking demonstrations, and meals, with the exception of the first lunch, as well as 8 hours of group writing class and 3 hour-long private mentoring sessions with Judyth. If you choose to visit the Dolenjske Toplice spa for the day, the treatments are not included. Not included: transportation to and from Slovenia, but we'll be happy to help you with the arrangements. We can also accommodate a friend or spouse who wants to join the tour but not attend the classes. 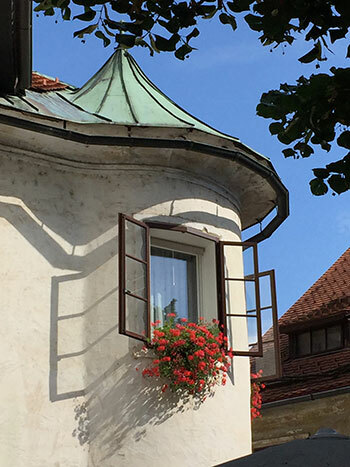 We encourage you to arrive in Ljubljana, the nation's capitol, a day or two before the writing retreat begins in order to get the most from your Slovenia Experience. A list of recommended hotels and restaurants will be provided. Another exciting option would be to fly in and out of Venice (4 hours away by bus or train) and make the most of your trip. 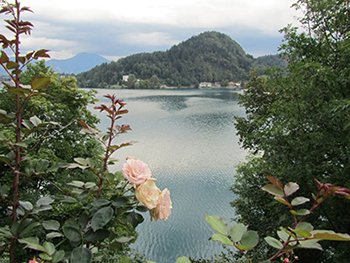 A $1000 per person deposit is required to reserve your place in the Slovenia Writing House. Since the number of participants is limited and accommodations vary, early reservations are recommended. Once your deposit is received, an email confirmation will be sent. We encourage you not to purchase airline tickets until you have received our letter of confirmation. The balance is due no later than 60 days before the retreat begins. If not received by that time, EAT-WRITE-TRAVEL reserves the right to treat the reservation as cancelled.